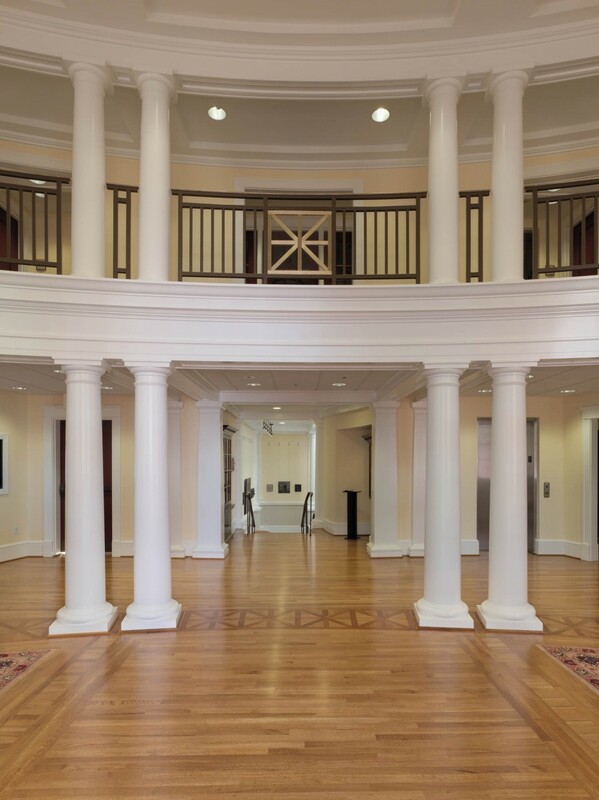 THE WILLIAMS SCHOOL of Commerce, Economics, and Politics at Washington and Lee University intended to take advantage of space in the vacated Co-op Building, now Holekamp Hall, to expand their nationally recognized program. 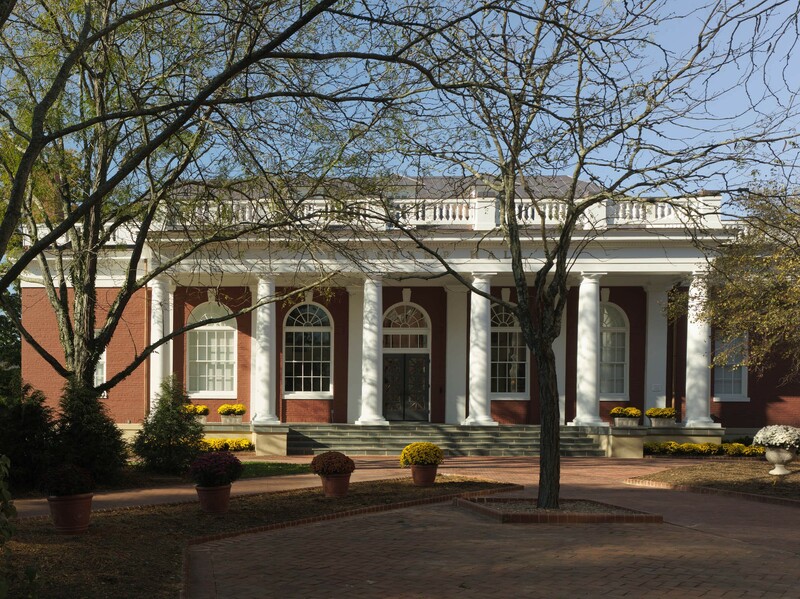 For over nine decades, the Colonial Revival structure (c. 1910) has quietly stood in the shadow of the Williams School, serving the campus as a dining hall, and after a 1960s addition/renovation, as the campus bookstore. The plan created by Glavé & Holmes Architecture gives the building new life. 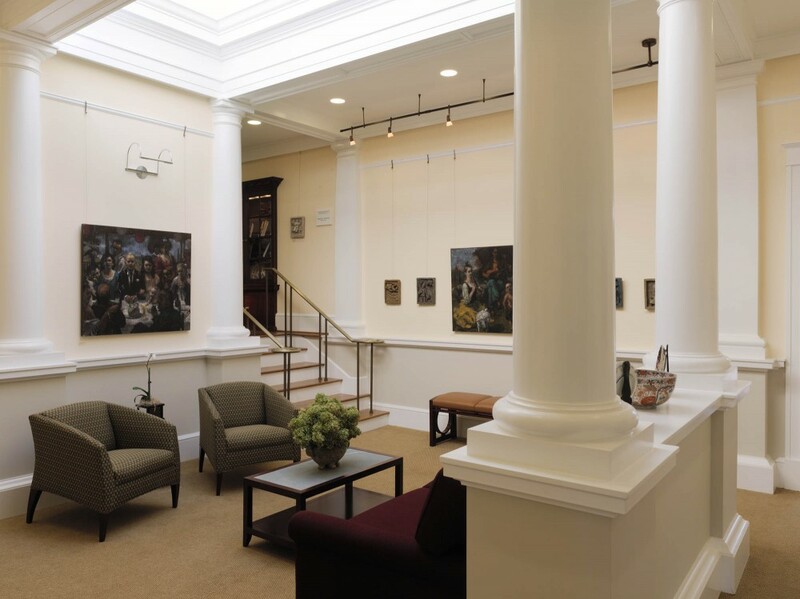 A complete renovation from the inside out resulted in attractive faculty and staff offices as well as group study areas with both wired and wireless network access. 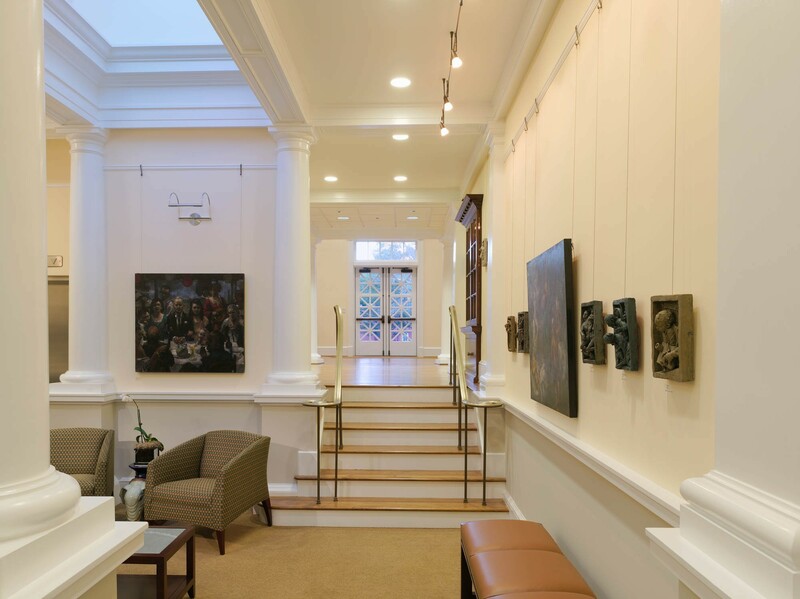 Design goals included preserving the building’s exterior character and reestablishing a vestige of the original double-height interior, while inserting a new mezzanine that provides the needed space to transform the building into a modern academic center. The interior design is integrated with the building’s architecture. 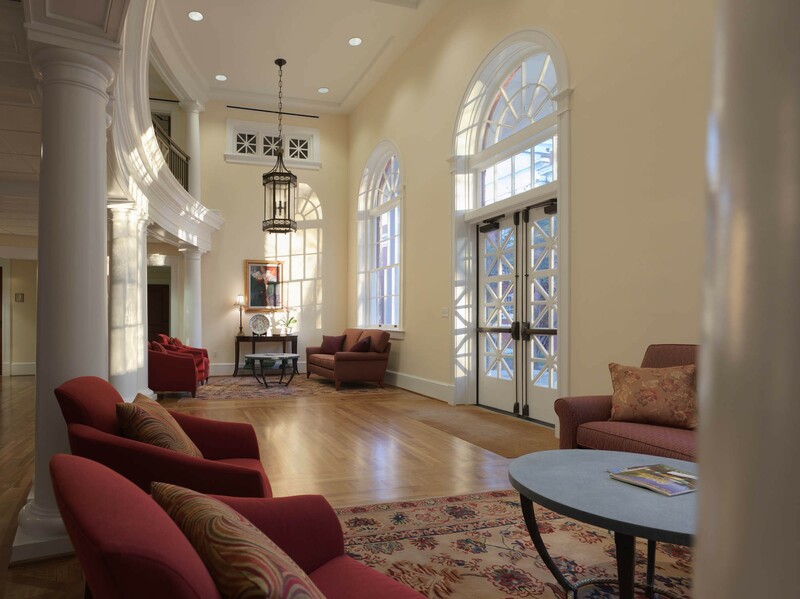 The lobby provides an inviting welcome and reception, and balances the need for practicality and durability. The custom designed lanterns, lamps, and tables took cues from the Colonial Revival architectural motifs. Desired collaboration space doubles as an art gallery that showcases items from the university’s collection as well as travelling exhibits. Other enhancements include a new elevator, mechanical systems tied into the campus central plant, and a fire suppression system.